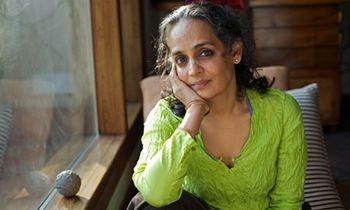 A new compilation of activist essays by Arundhati Roy was recently launched amidst voices of protest. Last week saw the release of “Broken Republic”, a Penguin India publication that consolidates three essays by the irrepressible Arundhati Roy. After her Booker Prize winning novel “The God of Small Things” in 1997, this is the latest addition to a body of non-fiction writing. The launch in New Delhi included a discussion as well as musical performance. Thanks to Revolutionary Frontlines for sharing this. Thanks to Frontlines of Revolutionary Struggle for sharing this piece. It originally appeared here, and details the horrific treatment of political prisoners in India. KOLKATA // The new government in West Bengal has promised to review all cases against political prisoners, but a long history of police brutality has made it difficult to distinguish between legitimate protesters and active insurgents. 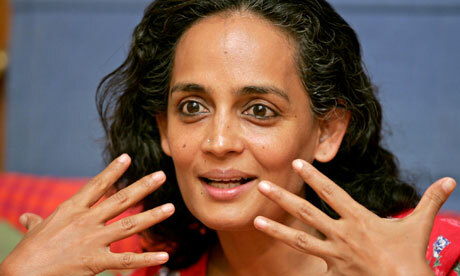 In this piece from The Wall Street Journal, writer and public intellectual Arundhati Roy continues her defense of India’s Maoists and tribal peoples, while criticizing the Indian state, its upper classes and capitalism in general. 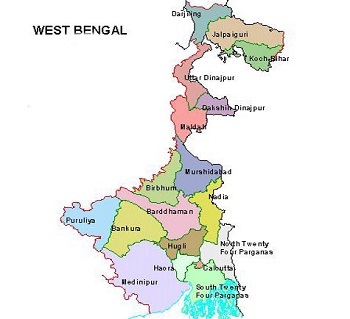 The election of Mamata Banerjee to the position of chief minister in West Bengal may have important ramifications for revolutionary forces in India. Banerjee, a founding member of the Trinamool Congress has been an opponent of the revisionist CPI(M) for decades, and, since her recent victory is touted as a “communist giant-killer”. Many of her policies appear more progressive than those of the CPI(M)–she fought against the forced eviction of small farmers from their lands and has opposed corporate development schemes and Special Economic Zones. Yet, these populist moves may be intended to undercut the influence of revolutionary forces–the CPI(Maoist) in particular. 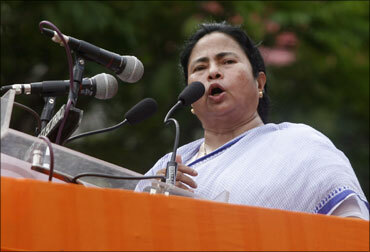 What impact, if any, Banerjee’s election will have on the Maoist armed struggle in India is unclear. But it is a significant development, and one that bears watching, especially given that it means a major setback for the CPI(M), whose forces have been responsible for numerous attacks on Maoists and tribal peoples. The following article originally appeared at dawn.com. As usual, posting here does not imply endorsement. ” The issue at hand is about Peoples Liberation Army integration [into the government army]. The peace process and constitution drafting should move ahead simultaneously. So many people sacrificed their lives for the sake of a “People’s Constitution”, but attention has not been paid in that regard. The following interview with Mohan Baidya (nom de guerre is Kiran) reveals that the struggle within Nepal’s Maoist party focuses increasingly on the fate of the Peoples Liberation Army. This question now stands center stage — in Nepali politics, in the struggle among the Maoists, and in the strategic decisions being taken for the Nepali revolution. The following is from myrepublica.com. Maoist Senior Vice-chairman Mohan Baidya, who leads the hardline camp in the UCPN (Maoist), has registered a note of dissent against the party’s decision to accept Nepal Army’s modality for PLA integration. This short article is remarkable for what it says about the resilience of India’s Maoists and tribal communities, who are often one and the same. The article originally appeared in The Times of India. 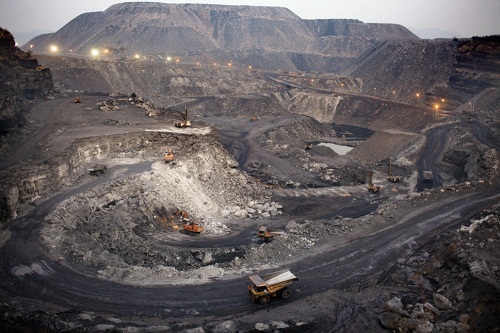 RANCHI: Survey on the state’s rich mineral reserves has been stalled because of Maoist-induced resistance by villagers. Though the state possesses rich reserves of iron ore, coal, mica, bauxite and uranium, the government is in no position to give details of the sources even 10 years after formation of the state of Jharkhand. Sources in state mining and geology department allege serveral attempts in the past to assess the rich resources, enough to meet raw material requirement of industries for decades to come, have failed due to non-cooperation from villagers. “Whenever officials tried to assess the reserves, villagers opposed it. 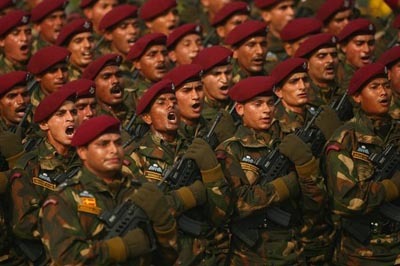 Our officers were not allowed to drill the crust in remote villages and deep forests,” said a source. “Verghese is a typical example of the self-proclaimed civilisers of modern-day India, akin to the white ‘civilisers’ of yesteryear, who would have been the pride of a Rudyard Kipling. 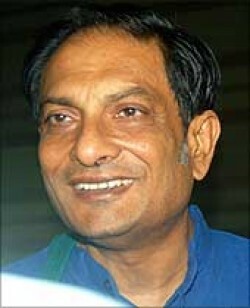 Azad (Cherukuri Rajkumar) was a leader of revolutionary struggles over several decades, with the CPI(Maoist) and some of its predecessor organizations. Until he was murdered by the Indian state in 2010, he was a tireless defender of the oppressed in India. A brief bio of Azad can be found here. And a pdf book of Azad’s writings is available here. problems related to two-line struggle in the party. “The problem concerning national struggle is related to the problem in correctly identifying the class enemy and the problem in effectively advancing the struggle against it. Now the reactionaries, on the one hand, are conspiring to convert our party- Unified Communist Party of Nepal (Maoist)- into a reformist and status-quoist party by pushing it to the grand parliamentary quagmire and should this plan fail, they are plotting to resort to suppression against our party, one or the other. “We must understand this truth properly. 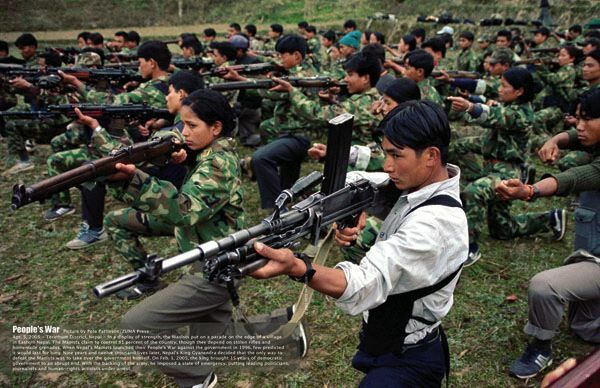 The following is an extremely important statement concerning the direction of the Maoist revolution in Nepal. We urge everyone to study and consider this document, explore its context, and think through what it proposes. This was presented as a proposal by senior vice-chairman Comrade Mohan Baidhya Kiran at the Central Committee meeting of the Unified Communist Party of Nepal (Maoist) in April 2011. This is a document of dissent — issued in contrast to the proposal of the Maoists’ chairman. Central to the discussion here is whether to focus on preparing for an insurrection or whether to present new proposals for resolving the existing stalemate over national constitution and the subordination of the national army. Previously the CPN(Maoist) had adopted a political approach of ‘popular insurrection’ at the Party’s sixth extended meeting or plenum in November 2010(held in Palungtar within the Gorkha district). By posting this here, Kasama is not endorsing political arguments or conclusions — but presenting documents and views essential for communists to understand and debate. 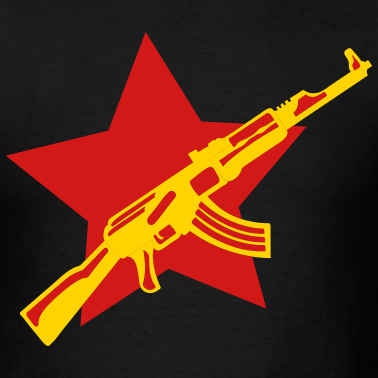 ‘The immediate political proposal’ presented by comrade chairman in the Politburo meeting held on April 20, 2011 and also in the present Central Committee meeting is against the fundamental spirit of the political line adopted by the Central Committee meeting held soon after the Palungtar extended meeting. Expressing my dissenting opinion on Chairman’s proposal, I, therefore, would like to present a separate political proposal in this committee. On May 1 in São Paulo, Brazil, the Liga dos camponeses pobres (League of poor peoples) led a demonstration in solidarity with the CPI(Maoist) and the adivasi peoples of India. Thanks to Eric for alerting us to this video, which originally appeared at Frontlines of Revolutionary Struggle. India is touted as an economic ‘miracle’ by capitalist economists and pundits. Yet India’s economic growth has come due to and at the expense of its urban and rural poor, whose low wages make it possible for call centers and tech companies to remain ‘competitive’ on the global market. 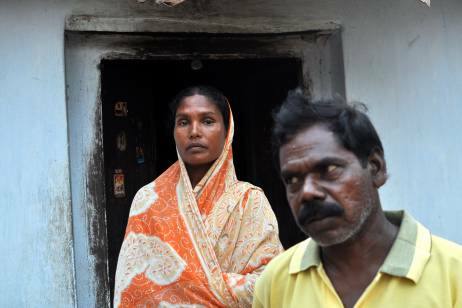 As the following article notes, these jobs themselves depend on a “range of support services” that are ignored in discussions of India’s economy–“cleaning and maintenance of offices, transport, security, back office work, catering, and so on.” Though these workers largely live in extreme poverty, they are often more fortunate than the millions of lower-caste landless peasants and slum residents in India who have no formal employment at all. Analyses like the one below, from Mrzine point to the urgency of communist revolution in India. Posting here does not imply endorsement with the entirety of the article’s conclusions. Many people, especially in India, tend to believe that the process of economic growth is likely to be mostly liberating for those oppressed by various forms of social discrimination and exclusion. The argument is that market forces break open age-old social norms, especially those of caste and gender, that have for so long denied opportunities and restricted options for so many. From BBC News South Asia Service. Indian human rights activist Binayak Sen has accused the government of misusing the country’s sedition laws “to silence voices of dissent”. In an interview with the BBC, he said that the laws were an outdated relic from the country’s colonial past. Dr Sen was freed from jail in the state of Chhattisgarh earlier this month. He had been sentenced to life in prison in December for helping Maoist rebels. The government is reportedly reviewing sedition laws. Dr Sen also said the government was forming vigilante groups to fight the rebels. 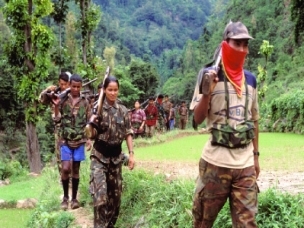 Villagers in some Maoist-affected areas have formed so-called self-defence groups, wihch have received state support. The Indian government has committed a long list of crimes against people domestically and has violently silenced internal opposition while making aggressive stances against the sovereignty of Nepal. KATHMANDU, May 9: The ruling UCPN (Maoist) is hosting an anti-imperialism conference in November, inviting, among others, former US Attorney General Ramsey Clark to Kathmandu to discuss political, economic and cultural imperialism, and peace in the world. 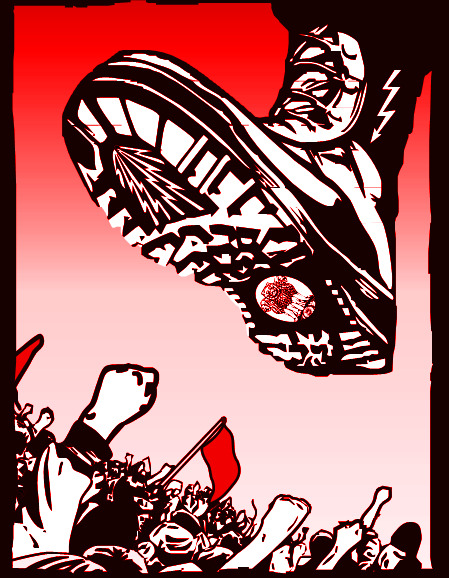 International Anti-Imperialist People´s Solidarity Coordinating Committee (IAPSCC), a network struggling against imperialist aggression, occupation and evils of globalization, is the organizer of the conference. 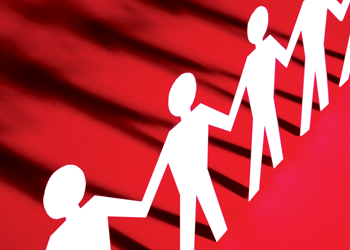 UCPN (M), along with communist parties of 23 other countries, is also a member of the network. This interview comes from ekantipur.com. “The new constitution will have to create a win-win situation for all. That means all parties will have to compromise and adjust. But there are few things we have all agreed on. At the outset of this process we have agreed on a constitution through the Constituent Assembly and that there will be a progressive and inclusive restructuring of the state”. 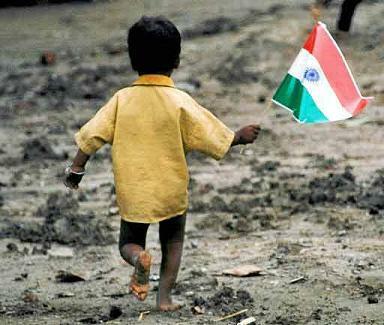 This comes from the website of the International Campaign Against War on the People in India. Click here for some background material about the revolution in India.